There’s no denying that in recent years the consumption of media has changed. With the rise of new spectatorship models it seems that the old models of production and distribution are becoming less and less viable, especially for low budget projects. In the place of the old models therefore, there are a number of new ones rising up, some of which are discussed below. It’s impossible to write exhaustively about these new models, as there are no longer any clear rules or templates for filmmakers to follow. However, it should be borne in mind that many of these ‘new’ techniques are now no longer new – they are based on existing technologies and there are now many precedents for filmmakers to learn from. Of the new production funding models, the most popular appears to be crowd-funding (also known as crowd-sourcing, crowd-sourced financing and DIWO, aka Do-It-With-Others), which essentially consists of using a ‘crowd’ of people to fund a project through a large number of small investments or donations. Individual contributions often start for as little as $5, with people being lured into donating through the promise of gifts or perks, such as a DVD copy of the finished film or having their name in the credits. A site which ‘provides tools for fundraising, promotion, and discovery‘, IndieGoGo works as a social networking site, allowing filmmakers to create a profile for themselves and their projects. Filmmakers are able to ask for financial donations in exchange for offering people a list of ‘VIP perks’ (i.e. the aforementioned DVD copies and credits). Funds are sent to the filmmaker as soon as the donation is received by IndieGoGo, and fundraising continues on the project until the total required amount is achieved. At present IndieGoGo charges ‘a 9% marketplace fee on funds raised‘. Those considering using IndieGoGo (or any other crowd-funding platform) should be sure to check out their invaluable Guide to DIWO Filmmaking, which offers details of how to make the most out of the system. A wider platform that can be used to raise funds for anything (as opposed to just films), Fundable allows users to create a page with information and details pertaining to their projects. In addition to setting the amount they wish to raise, users must also set a timeframe in which they hope to raise the money (up to a maximum of 26 days). If the full amount asked for is not raised during this time then the user will not receive any of the money, and no one is charged (if the full amount is raised then Fundable take a 10% fee). Although it might be frustrating for filmmakers not to receive any money if the full amount isn’t reached, it also prevents them from having to fulfill promises which they might not be able to afford to keep having failed to raise the full amount. A site which aims to fund film through investments rather than donations, IndieMaverick allows filmmakers to place their projects onto the site in order for investors to view the details. At present, IndieMaverick is aimed solely at low-budget features and therefore only accepts projects over 60 minutes in length with a budget of under $1.5 million. Filmmakers only receive the money if the entire amount is raised, and IndieMaverick releases the money to them over three stages (preproduction, production and postproduction). Completed films will be offered for download on the website, though not before theatrical and home video runs have been completed as they ‘don’t want to get in the way of you selling it for big bucks’. All sales and profits from the film are split 30% to the producers and 70% to the investors, who are to be paid through the site on an annual basis. Another service which can be used for any purposes, Chipin asks users to enter information about what they’re collecting for, how much they want to raise, and when they need it by. Users are then provided with a Chipin widget that they can place on whatever site(s) they want, and are also given the opportunity to create their own Chipin page directly on the Chipin site. When the set time expires, users are given the amount raised regardless of what percentage of their target has been reached. At present, Chipin does not charge for their service (though PayPal fees will apply). Another potential source of revenue for filmmakers comes from advertising. Although the figures for internet consumption are currently ahead of those for internet advertising, there are numerous companies and brands directly producing and sponsoring content. Obvious examples include sites like MySpace and Bebo, who are producing a number of original online web shows (such as the reality TV series Married on MySpace and the drama Kate Modern). Less obvious examples include the likes of Vauxhall, Honda, Red Bull and even Burger King. Pure Grass Films and Endemol UK, meanwhile, were given funding by MSN UK, with additional sponsorship from X-Box, to create the web drama Kirill for the MSN website. There are also many offline examples of filmmakers successfully using revenue from brands and products to help get their films made. For instance, the filmmaker Hunter Weeks was able to secure a soft drink placement deal for his first film which led to direct cash sponsorship from companies for his second film. However, there are those that believe that brands will soon wish to move beyond traditional ‘product placement’ into the realm of ‘product integration’ (essentially making the product a featured part of your story, such as the key to solving a particular mystery). More information about ‘product integration’ can be found on Krempelwood.com, the website for a company who ‘exist to marry brands with programming, providing a one-stop shop for all producers‘ and rights holders’ ‘sponsorship financing needs‘. The ‘fastest growing online destination‘ for film lovers, The Autuers is both a social networking site and an online cinema. The social aspect of the site allows users to connect with others and view their recommendations, while the cinema aspect allows viewers to watch a preselected range of the best independent, foreign and classic films. 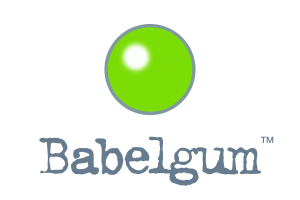 Out to acquire the IFOD (Internet Free on Demand) rights to films, Babelgum is a forward-thinking distributor interested in focusing on day-and-date releases. Offering advanced minimum guarantees to filmmakers, Babelgum is intent on getting films to an audience and was recently involved with the multiplatform release strategy for Sally Potter’s Rage. A website ‘committed to finding the world’s most compelling documentaries…and making them available to the wide audience these titles deserve‘. Always on the lookout for new material, SnagFilms has an easy and open submission policy. Perhaps still the best known of the online video sites, YouTube has been making moves to become an outlet for completed films, as opposed to a site used only to host promotional content for projects receiving distribution elsewhere. One result of this drive has been the creation of youtube.com/movies and youtube.com/ytscreeningroom. Screening Room submission details. 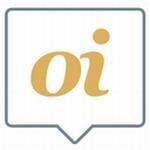 Although still in the process of getting off the ground, OpenIndie could be a site to watch. Set up by filmmaker and ‘new media mogul’ Arin Crumley, OpenIndie ‘is a user generated film screening site with the aim of democratizing distribution. Users can discover and bookmark films they’re interested in, request a screening in their area and put on a screening of any film on the site‘. Funding for the project is being raised in phases through the new crowd-funding site Kickstarter.com (currently only available for use by people based in the US who have received an invitation). At the time of writing Phase 2 is still active, and details can be found here. In addition to the production support discussed above, it is also possible for filmmakers to potentially generate revenue through brand sponsorship and advertising during the distribution phase. Co-created by Arin Crumley and Susan Buice, Four Eyes Monsters was one of the earliest pioneers of online distribution and struck a banner deal with YouTube which involved them streaming the entire film for free in return for the majority of the advertising revenue from an advertising banner on their page. Sites such as Revver and Blip.tv have democratised this process by offering all filmmakers the chance to upload their content and receive a 50% share of the revenue from advertising attached to their content. An exciting new development in online distribution, VODO (short for Voluntary Donation) works by offering audiences the chances to watch and share films for free through P2P services, and then pay a voluntary donation directly to the filmmakers themselves. Outside of the VODO collective, other filmmakers are also working along similar lines. Earlier this year filmmaker Nina Paley released her film Sita Sings the Blues under a Creative Commons Share Alike License, encouraging people to download, watch and share her work for free. Palely believes that ‘audiences are generous and want to support artists‘, and has therefore offered viewers a number of ways to contribute financially to her in return for their enjoyment of her work, including buying DVDs and donating directly to her. Also known as Split Rights Distribution, DIY Distribution or Self- Distribution, Hybrid Distribution essentially allows filmmakers to get their work in front of an audience while keeping the rights to, and control of, their work. Companies such as IndieFlix have been established precisely to help facilitate this method, offering filmmakers a 70% share of all net profit made from their DVD sales and rental downloads. Perhaps most importantly of all, IndieFlix only requires a Non-Exclusive licence, meaning that filmmakers are free to explore any other distribution options that they wish. Working in a similar fashion is Amazon’s CreateSpace, which allows content creators to sell DVDs and downloads through Amazon.com and receive up to 50% of the retail price. Although most filmmakers are ultimately still aiming their work for the big screen, the opportunities being offered by the very small screen should not be overlooked. In 2006 the filmmaker Johannes Roberts created the made-for-mobile series When Evil Calls, which was subsequently edited together with additional footage to create a feature film for release on DVD. Meanwhile, distribution sites such as MoFilm and Zzizzi are currently offering filmmakers a 50/50 split of profits on made-for-mobile content. In a world of transmedia storytelling, where single projects are now spanning multiple platforms (films, internet, books, games, television, comics, etc.) in a bid to extend their story-world beyond a two hour runtime, it is important to define right from the outset what is considered ‘promotion’ and what is considered ‘content’ in its own right. At the recent Power to the Pixel conference held as part of the London Film Festival 2009, there was a constant emphasis on encouraging filmmakers to think about how transmedia content can be used to genuinely engage the viewer and expand the story of the film, as opposed to simply informing people that the film exists. By engaging people beyond a single platform, it becomes possible to increase awareness of a certain property and potentially maximise revenue. A brief rundown of examples of this type of ‘content’ promotion can be found in Christy Dena’s Filmmakers That Think Outside the Film article. Another strong emphasis at the conference was on involving the audience and turning them into active participants; including interactive elements has been proven to increase audience engagement and interest, whether it’s online games, widgets or content creation (such as fan fiction). One of the strongest tools in the low-budget film promotion arsenal has always been word of mouth – and with the rise of social networking, this has become even more apparent (see for instance, Sharon Waxman’s Social Networking Making Friday The Only Day That Counts piece). It has now been proven that low-budget filmmakers who actively engage with social networking have more success with their films. Through sites like MySpace, Facebook, Bebo and Twitter filmmakers can have direct contact with their audience. Furthermore, the sites can be used to create a sense of community amongst potential fans and help build a buzz around films before they’re even finished. Those wishing to utilise the sites to maximum effect should also look into applications such as TweetDeck, which serve to simplify and structure the using experience, and look for articles such as Grace Leong’s Top 5 Twitter Filmmaker Marketing Tips which provide hints on how best to utilise the service. In addition to the better known sites above, filmmakers are also now starting to utilise sites like Dopplr and foursquare to help them promote their work, while placing material on sites like Flickr and YouTube can also help create awareness of particular projects. In addition to social networking platforms, the advantages of hosting your own content on one centralised site should not be overlooked, even if that site simply serves to link people back out to content placed elsewhere. 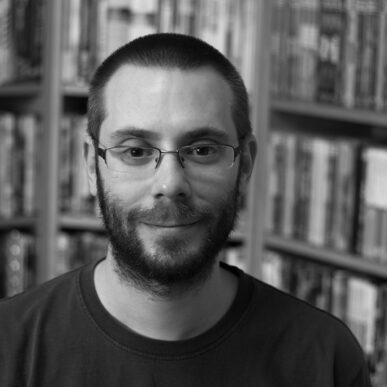 Producer Ted Hope has spoken about the need for filmmakers to provide greater access and insight into their creative processes, and blogging services like tumblr, Blogger and WordPess allow for push-button publishing of just such information. By enlightening the audience to the practical and creative struggles inherent in the filmmaking process you are predisposing them to liking your material; not only can they potentially get to know you ‘as a person’, but they will also be aware of the struggle you have been through to get the film made. Of course, blogs need not be limited to the filmmaking process, and can also be used to engage readers with wider ideas and aims of your project. Finally, filmmakers can help other people spread the word about their projects through the use of buttons such as ‘the easiest, most popular sharing tool in the world‘, AddThis. How to Fund your Film, the Film Finance Handbook – Chapter Four: A chapter from the book published under a Creative Commons Attribution-Non-Commercial-Share Alike License, this .pdf expands upon some of the points made above and includes case studies proving that techniques like crowd-funding really can work. PeterBroderick.com: The website for distribution guru Peter Broderick, who ‘helps filmmakers and media companies develop strategies to maximize distribution, audience, and revenues‘. Be sure to also subscribe to his mailing list. How To Be “Better Than Free”: A video of Brian Newman’s invaluable talk at the recent Power to the Pixel conference, in which he gives proof that free online streaming can lead to revenue for filmmakers, offers incentives that audiences are willing to pay for, and explains why the old models of distribution often lead to ‘free’ anyway. Invaluable. Power to the Pixel Recommend Reading List: A list of articles related to the topics discussed at Power to the Pixel. However, I would have liked a few case studies re: crowd funding, to get an idea of how successful it has been, and what pitfalls there might be, if there are any hard and fast rules etc. Thanks for all the positive comments everyone, much appreciated. Neil – you can find some case studies in the Further Reading material (I left these out of the main article mainly due to space). The chapter from ‘How to Fund your Film’ is especially useful in this regard. I also recommend checking out some of the case studies from the Power to the Pixel conference. For instance, in the Age of Stupid talk (http://www.babelgum.com/4005224/distribution-case-study-age-stupid-franny-armstrong-lizzie-gillett.html) Franny Armstrong and Lizzie Gillett touch upon the legal side of crowd funding. To be honest, though, from what I’ve seen and read it’s all too new for there to be any solid ‘rules’.